I was doing a little reading about the upcoming US Open and jotted down these interesting data points and things. That’s what you do around here in the Valley – jot down data points and look for trends. Everything’s always about measuring ROI and metrics. Bah Humbug. No trends here though – looks like there’ll be a lot of first for this first Washington State event. 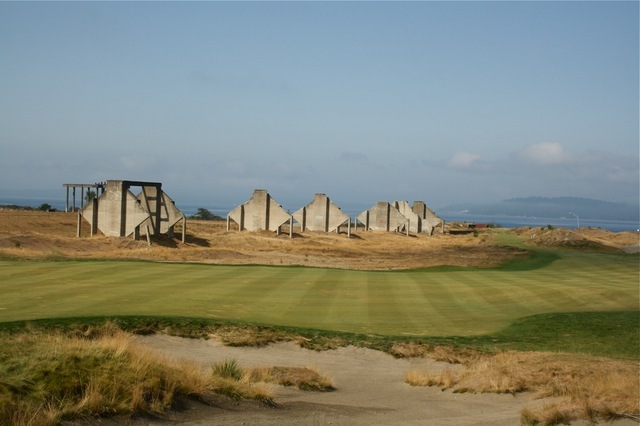 Here are some facts and the names of the 18 holes at this year’s US Open at Chambers Bay in University Place – Washington State. 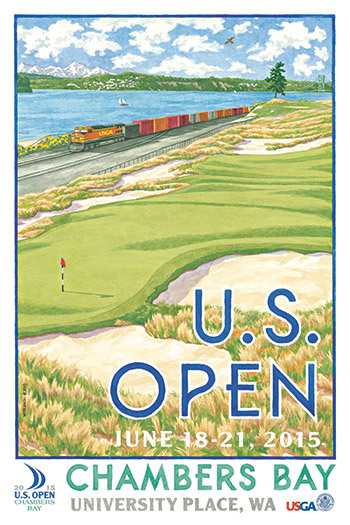 These are gleaned courtesy of the US Open Official magazine provided by the USGA. It’s a fine fescue grass course – a first for the US Open. Tournament directors believe those who come and prepare early will benefit from their learnings about how this grass behaves. It is not a flat blade grass like other course grasses but a very thin round blade that tends to grow in one direction. Bouncing a ball into the grain can result in serious slow down in speed while balls traveling with the grain will move more quickly. Note: Fine fescue is not a singular turf type but is an amalgamation of several types of fescue – red, hard, Chewings and others. 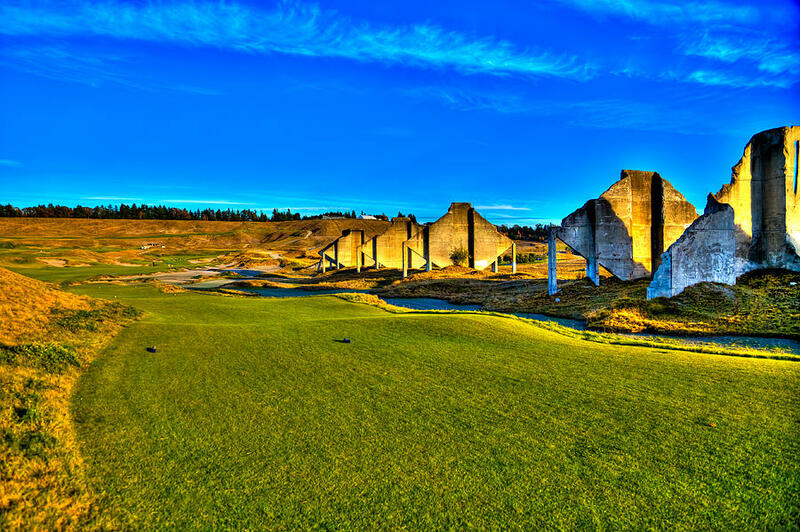 Chambers Bay was built on an abandoned sand and gravel mine. The site was also home to a lumber mill, paper mill and a railroad hub. Steilacoom is the name of the Native American Indian tribe that inhabited the area prior to industrialization. They established an ancient fishing village here.